The Feniex Fusion 2X LED Dash Light is the brightest deck/dash light in emergency vehicle lights. With interchangeable modules, the 2X deck light/ dash light is extremely versatile and can cater to long and wide range needs. This emergency light is there when you need it and tucked safely away in the glove compartment when you don't. The deck/dash light also offers ease of installation with its cigarette plug and play capability and allows you to quickly switch between your 20-40 favorite flash parrterns. 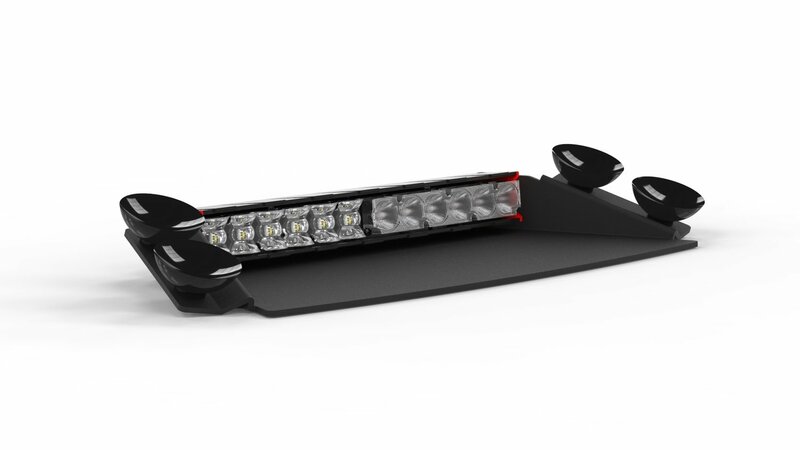 The deck light/ dash light is perfect for police lights or on construction vehicles. The Fusion series offers emergency lights that take the best of both the 180 and 40 degree optics.